The Shinko Sinfonia S1245 is a ultra-high speed, high volume printer with a 280 print capacity and 30 second print time for 8x10" prints. The 1245 printer can produce 4x8", 5x8", 6x8", 8x8", 8x10" and 8x12" prints, perfect for high demand printing applications. 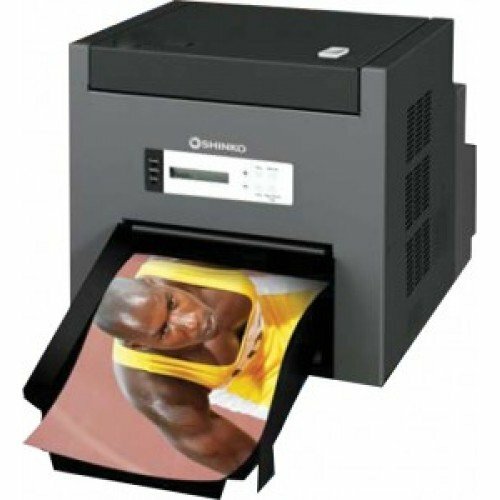 Minilabs, portrait and event photographers have a growing need for instant output of enlargements and package prints and the Shinko S1245 printer is the perfect solution for this growing need. The Shinko S1245 printer, a fast, affordable, portable, high capacity printer that produces the highest quality prints in less than 30 seconds, with as many as 120 prints per hour. This is 2-3 times faster than most competitive cut-sheet printers. 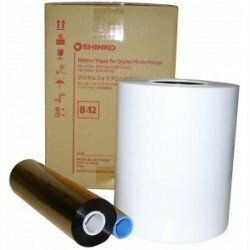 Shinko S1245's roll media yields 280 8x10" prints per roll, over 5 times the capacity of most cut sheet printers. The Shinko S1245 printer can print a glossy 8”x10” print in less than 30 seconds in the standard mode and a 8”x12” print in 35 seconds. 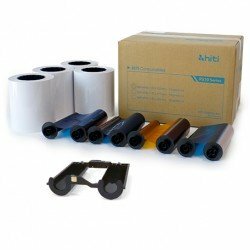 Shinko has developed a unique laminating process that is used in the Shinko S1245 printer. It allows glossy and matte surface finish from the same print pack. There’s no need to switch paper or ribbon. The Shinko S1245 printer has a special feature which enables printing smaller print sizes from a 8”x10”/8”x12” media kit. Prints are cut to two 5x7’s, two 6x8’s, or three 4x8’s any many more sizes. You can receive the KG Instant Print Software ($499 retail value) for FREE with the purchase of a Shinko 1245 printer. The KG Instant Print software automatically rotates, resizes and prints images from a hot folder. Images can be placed into the hot folder by using a tethered camera, drag and drop into the folder, or via a wireless (wi-fi) camera.